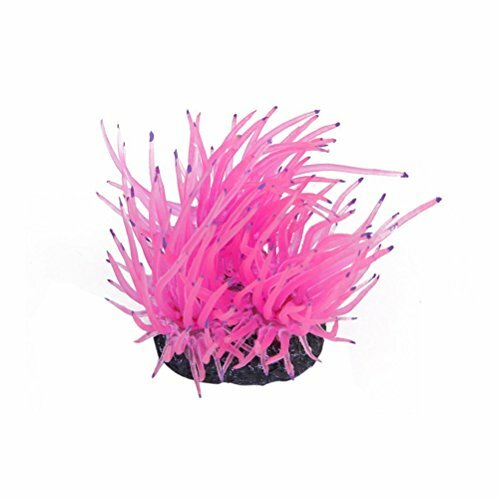 This artificial coral is for fish tank decor, with a brilliant color, very beautiful and lifelike. The fake coral is soft, flexible and dynamic. Add unique landscape for your white fish tank and time consuming. - Hauteur: env. 3,54 inches/9 cm. Diameter: approximately 1,97 "/5 cm. - Soft Artificial Faux Coral, fish tank. - Designed with a stone base for stability. - Non toxic, no damage or pollution. - Perfect for your fish tank. - Suitable for freshwater and saltwater. - Note: Please be reminded that due to lighting effects and monitor's brightness/contrast settings etc, the color tone of the photos of the site and the actual item could be slightly different.